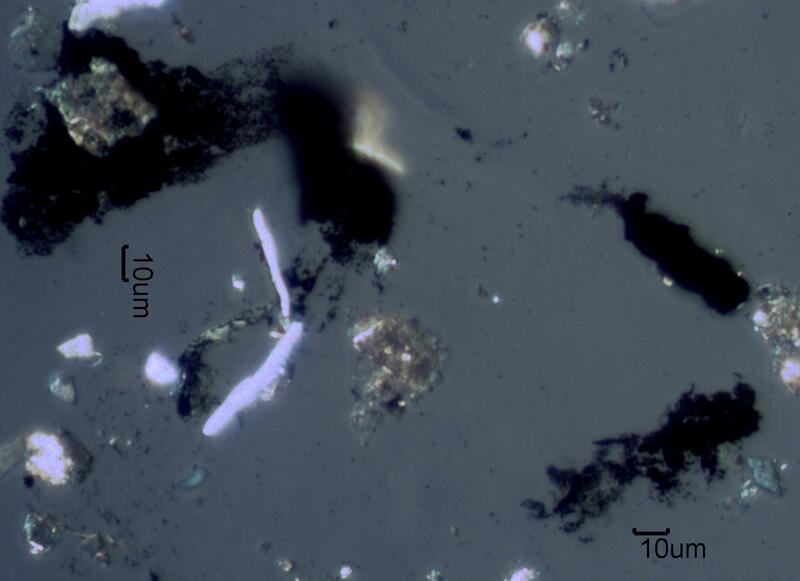 This is a collection of agglomerated soot particles from an large plumbing warehouse fire. The elongated black particle center right edge is a tire wear particle resing on another agglomerated soot particle that apears as a tail to the tire wear. This was from an environmental tapelift collected in a home a few hundred meters (a little over 200 yards) away from the fire and about a month after the fire.